All too often, being grown up is the pits. It can leave you drowning in responsibility, suffocating from anxiety, and sinking with doubts about your ability to be all that you should. Frazzled, you fall into bed to fortify yourself for tomorrow’s craziness. Then you lie awake fretting over your lack of action you regret, scary debt, and all the targets you haven’t met. Life’s supposed journey has left you dreading where you’re heading. Somewhere between making daisy chains and making money, life’s magic became a disappointing sideshow. Somehow, your everyday blue sky turned a disconcerting gray. Children are sunshine, sunshine on little legs. Because sunshine is all they see. They have no concept of worrying about the future and living up to responsibilities or overwhelming to-do lists. They feel no embarrassment in falling over, getting it wrong, or showing anyone exactly how they feel. Every day brings discoveries, wonder, and excitement. Every day is new. They’re always way too caught up in the fun to even think about the consequences. They laugh with every inch of their bodies until they hurt, and they still keep laughing. 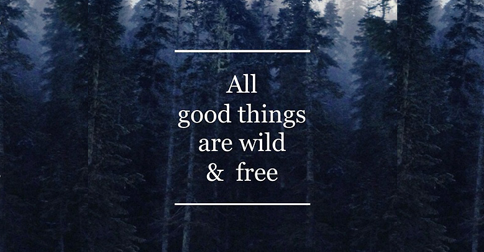 There’s a word that sums up all of these characteristics …carefree. Ah! That’s an incredible state to be in. Imagine brimming with blissful expectation rather than a million worries. Being pleased with everything you’ve said and done instead of regretting forever. And swapping fear of what the day might bring to being too excited to wait and see. Oh boy, we can learn a huge lesson from our mini experts on life. I certainly have. Luckily, years ago my career path took a convoluted turn, and I ended up being surrounded by happy innocence while immersed in the whirlwind of teaching children. Right from the start, my wagon load of worries felt an extra heavy burden amid their light, lively atmosphere. All my long-standing hang-ups stood out as making life unbelievably difficult among their unrestricted actions. And my critical inner voice sounded super mean around their enthusiasm over the slightest achievement. But I desperately wanted to be one of their gang, so I resolved to emulate my young friends. I decided to rediscover my silly, consequence-free side, to unlock my optimism, to question everything and see responsibility as nothing more than fun tasks I’d chosen to accept. I worked with my little sunshines on legs nine to five every day, but it no longer felt like work. They made every task bright, fun, and interesting . . . and chaotic. Their infectious excitement and belief in good things pervaded my every working day. Their unconscious behavior and easy emotions filled my every weekday thought. I owe those little smiley faces a heck of a lot! Being surrounded by children for years made me feel years younger. You don’t need to be childish to be childlike. You can find happiness in everyday routine. I’d love for you to have carefree times too. To breathe. To dance. To laugh so hard that you physically shake. How can you take the first step toward feeling that free? With one small, child-like action at a time. Run with the ideas below that jump out at you. Skip into some more when you’re ready. 1. Belly laugh at your own jokes. Give your happiness a double boost by delighting in your own unique sense of humor. 2. Hop, skip, and run. Instantly halt worry with the enjoyable distraction of moving your body in fun ways. 3. Believe you have super powers. Build heart-warming, life-long relationships and a treasure of great memories with fun, giggle-making get-togethers. Whiz along on a shopping cart or anything with wheels for a gleeful ride that will blow any earnest thoughts from your mind. Trust good things will happen, and put your hand up for every opportunity that comes your way. 7. Jump into the circle. Join in with any fabulous fun around you without waiting to be asked. You’re bound to form some great new relationships with like-minded good-timers. Argue back against any limiting thoughts regarding your chances of happily succeeding with any ideas or plans you have for the life you dream of. Let your presence spread happiness to others by the infectious nature of your joy. Brighten up your day by acting out any daft idea that strikes you—the sillier the better. Follow your gut instead of overthinking. It’s a great way to find what truly motivates and inspires you. 12. Jump up and down. Encourage feelings of excitement to bubble up more often by giving them glorious, physical free rein. Others will fall in love with this hugely appealing quality. Question every wretched rule that hampers your precious happiness. Realize consequences are mostly imagined. Give yourself the gorgeous gift of looking forward to birthdays (even the “big” ones!) by focusing on sharing, receiving, and celebrating all you’ve contributed in the past twelve months. Pander to your creative flair for a brilliant mood-boost by wearing exactly what you fancy, unrestricted by any concerns for color matching or trends. Delve into your dressing up box to turn unavoidable chores into fun, let-me-at-‘em tasks by completing them while regaled in fantastically outrageous items that instantly lift your spirits. 19. Eat jam from the jar. Bypass the rules every now and then if you see a happiness-boosting opportunity, and it won’t hurt anyone else. 20. Splish splash through puddles. Take a break from meaningful activities to relax by being deliciously frivolous. Play late into the night if you’re having fun; you’ll sleep better for it and wake up feeling super positive. Lavish love and affection on the people who make your world a great place to live. Sing lustily when a tune pops into your head to bring on feelings of pure joy. Have upbeat conversations with yourself out loud to silence your inner critic. Kid’s don’t have an inner monolog and get things out in the open – much more healthy. Don’t be self-conscious about asking for help from strangers. Discussing your problems in a positive way with someone else not only finds a solution faster but also can find a new friend as well. 26. Splash in the bath. Get super playful with mundane events to make these supremely enjoyable. Build an overnight den in the yard or even in the lounge for an exciting change of routine that will keep your thinking patterns fresh. Be strong over matters that are important to you. No one has the right to steal your, or a child’s, happiness. Love at face value. Don’t be shy about telling those you cherish just how much they mean to you. Be the first to quickly repair any relationship breakdowns for a lifetime of loving support and a million happy memories. 31. Play with your food. Make meal times fun again by dining in playful settings and choosing menu options you associate with celebrations, holidays, and picnics. Rekindle unconscious, natural behaviors by talking to people you’ve never met. You’ll be amazed by how much you light up their day and what you learn along the way. Be proud of every little success each day, and give yourself a gorgeous reward that encourages you to keep going. 34. Refuse to tidy your room. Leave tasks unfinished when you’ve had enough in favor of an activity that will give your happiness a super boost. 35. Ask for the world. Be cheeky, and ask for something seemingly outrageous if it’s important to your joyful well-being. Get messy, big, and bright! Focus on fully enjoying any activity you choose so that you can encourage carefree thinking and let go of needing to control the result. 38. Be queen (or king) of your kingdom. Leave dull, unimportant tasks till later, and make time for the things that truly matter to you. Forever stressing through all the pressures of adulthood is exhausting. The relentless demands on your time and physical and emotional wellbeing leave you feeling totally wrung out. Your natural energy and enthusiasm have totally lost their sparkle. But small, simple actions toward rediscovering your sunshine can help you burst with the joy of being a kid again. Consciously choosing a child-like approach brings incredibly carefree times that you can build on. Rekindle your natural inner child. Giggle, guff, snort, and chortle until pure joy runs out your nose. Live, love, and laugh like you never lost the magic. And wake up feeling as if every day is the first day or your childhood.